Bjelasica is fore sure one of the most beautiful mountain ranges of Montenegro. It belongs to the central continental region of Montenegro. Bjelasica is placed on the east from the Moraca and Sinjajevina mountain ranges, on the north from Prokletije, Komovi, Kucka Krajina ranges and on the northwest of Durmitor. Bjelasica is situated on the northeast from Podgorica, the capital of Montenegro. The mountain range is surrounded by the 5 cities ; by Kolasin on the west, Mojkovac on the north, Berane on the east, by Bijelo Polje on the northeast, and Andrijevica on the southeast. It’s geological features are of volcanic origins, with smooth round shapes, differing from most of Montenegro’s other mountains of calcareous composition abounding in karst forms, with numerous crevasses and crevices. Bjelasica lacks alpine climbing rocks but the vast spaciousness of it’s mildly rolling landscapes is amazing. The Bjelasica range stretches over and area of 630 square km, with a equal width and length of 30 kilometer. The Bjelasica range is bordered by the Lim and Tara rivers as well as by the Ljubovidja and Lepenica rivers to the north. 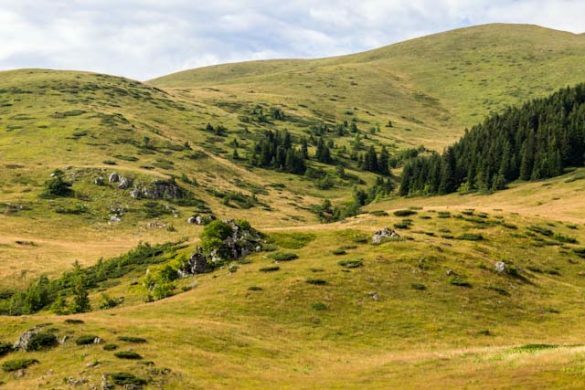 It belongs to the municipal districts of the cities Kolasin, Mojkovac, Bijelo Polje, Berane and Andrijevica, which cooperate in the common interests of the tourist development of the Mount Bjelasica region. The massif of Bjelasica has 10 peaks above 2000 m. The three peaks which belong to group of highest peaks are Crna Glava (2139 meter), Zekova Glava (2117meter) and Troglava (207 2meter), all three placed above the beautiful Pesica Jezero (Pesica Lake, 1820 meter). Bjelasica is the greenest mountain in Montenegro, also very rich with water sources. So, Bjelasica is really the pure paradise for enjoyment in beautiful mountain scenery. The mountain is approachable also by car. With the roads from Kolasin town till Vranjak and from Berane till Kurikuc you can come at the foot of the mountain and also to the Biogradsko Jezero (1094 meter) lake. 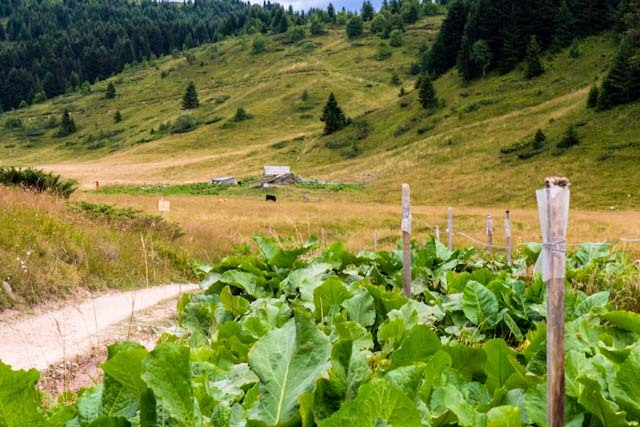 In the 1872 montenegrin King Nikola had realized that Biogradska Gora was great ecological heritage for the future generations and protected it by the law. It is the one of the last rainforests in Europe, with the typical jungle vegetation. National park Biogradska Gora takes 5650 ha of the central part of the Bjelasica mountain range, between the rivers Tara and Lim. 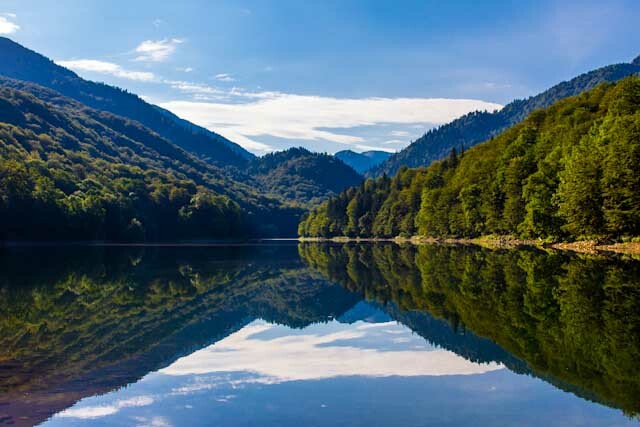 In the heart of Biogradska Gora is the famous and beautiful Biogradsko Jezero lake. 80 percents of this area are the woods. Many trees are over 500 years old. There are 26 plant ecosystems, 86 kinds of trees and over 220 various plants. The one hundred old trees are 40 to 50 meters high. These are typical mountain trees like the oak, the maple, the beech, the fir. The birds’ observers and ornithologists can enjoy the flights of eagles and 150 other birds. The Biograd`s woods is the home of bears, wolves, dears, foxes. There are over 350 kinds of insects. The intensive glacier`s activity has formed the various geo – morphologic shapes, like the river valleys and mountain peaks, some over 2000 meter high. Biogradska Gora is attractive not only for the explorers, but for the numerous visitors, as well. The park is a natural reserve with a unique geographical and biological structure. It is an open lab for biologists and a favorite destination of hikers and nature lovers. 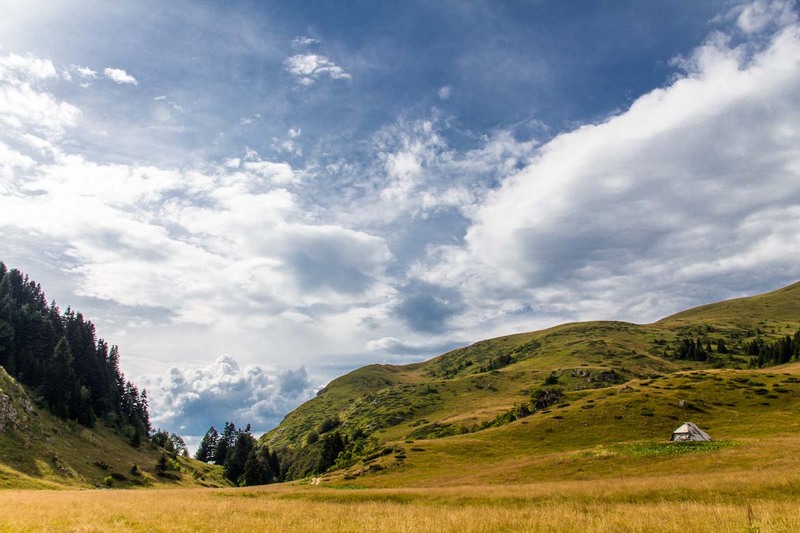 Its immense, centuries old forest with endemic Balkan plant species, diverse animal life and beautiful landscape with mountains, meadows and glacier lakes, makes it too one of the most popular destinations in Montenegro. In Bjelasica there are no forms of real accommodation on sleeping cabins. It is possible to stay in one of the 12 bungalows at the Biogradsko Jezero in the Biogradska Gora national park. Each bungalow has two wooden beds and all other basic elements for a pleasant stay, perfectly fitting into the landscape. However, these are quickly booked up in high season. There is also the possibility to set up a tent in the forest near the lake for a small charge. In the mountains in the Katuns there are also simple wooden huts where you can stay overnight. For hotels and other accommodation one is dependent on the city of Kolasin or Mojkovac. Kolasin is about 20 kilometers away and Mojkovac 11.5 kilometers. Of these two cities, Kolasin is the more interesting city, lying in a nicer environment and with better tourist development than Mojkovac. Bianca Resort & Spa – Surrounded by beautiful pine forests, the 4-star Bianca Resort & Spa in Kolasin offers a view of the Bjelasica Mountain. It has a special architecture and dominates the cityscape of Kolasin. Facilities : Bar with fireplace, Meeting room, Spa and wellness center, Free parking, Free Wi-Fi, Outdoor pool, Fitness room, Indoor pool, Hot tub / Jacuzzi, Solarium, Sauna, Restaurant, Massage, Hammam, Ski equipment hire, Ski storage, Ski school. Four Points by Sheraton – The four-star Four Points by Sheraton consists of 72 chalet-style rooms, including 15 larger suites, making it the perfect base for an adventure full of activities in the great outdoors. The robust, wooden interior with cozy furniture creates an inviting character, with the well-known Sheraton comfort bed not missing, which ensures a good night’s sleep for guests. Facilities : Fitness Room, Spa & Wellness Center, Restaurant, Free Parking, Free Wi-Fi Internet Access Included, Spa Facilities, Fitness Center, Indoor Swimming Pool, Hot Tub / Jacuzzi, Sauna, Massage, Hammam, Bar, Ski Storage, Ski School. Rooms and Apartments Mirovic – Rooms and Apartments Mirović enjoys a quiet location on the Kolasinski River, overlooking the mountains of Bjelasica and Sinjajevina, and 1 km from the center of Kolašin. The interior consists of wood and each room is equipped with a bathroom with shower. Rooms have a balcony and some have a seating area and a private terrace. Facilities : Restaurant (buffet), Spa and wellness services, BBQ facilities, Free parking, Free Wi-Fi Internet connection, Ski storage, Shared kitchen, Ski school, Outdoor fireplace, Picnic area, Shared lounge / TV area.